I have been working with Alliance Mortgage for at least 15 years. They have done the mortgage financing for all of my homes, refinancing for lower interest rates and retirement guidance. Rachel has always been wonderful and treated me like I was her only client. Mark guided me with my upcoming retirement plans and was very helpful. I highly recommend them (and have recommended them to others over the years). Thanks for all of your help! If we could give 10 stars, we would! Mark and Rachel at Alliance are by far the most efficient, knowledgeable, trustworthy, helpful, professional mortgage brokers in Southern California. They've brokered numerous loans for us and our family, and all transactions have been handled quickly and professionally. We highly recommend Alliance and would never consider using any other lender. Don't waste your time with anyone else. Alliance Mortgage always exceeds our expectations. We've been blessed to be able to work with Rachel on numerous loan/refinancing projects spanning over a decade. She has the gift of being able to take what can become a tedious process and make it painless! She "gets it done" with character and integrity--often going above and beyond to make it easier on us. We look forward to our next loan adventure with her! Customer Service is Number 1 with Alliance. They find the best product that meets customer's needs. You can't go wrong. 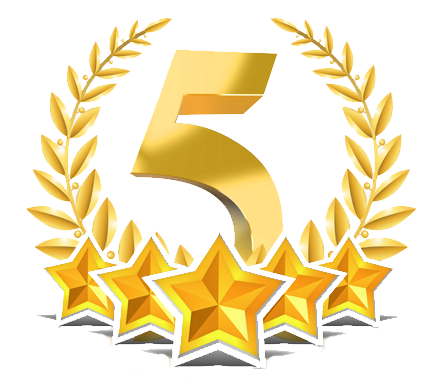 I have used them multiple times, fast, fair, and excellent service. They work to find a rate appropriate for your financial need. I have been working with Mark Tober and Rachel Moore for the last 15 years regarding Refi loans and advise on various issues. They have been great people to work with and very professional. They work very closely with you and always keep you informed of any changes or updates on your loans. I know I can always depend on them. I would highly recommend them to anyone. Thank you again for your professionalism and It’s been a pleasure to work with the two of you. I wish you all the success. I have worked with Rachel to complete two home purchases, and both times she was fantastic. I typically do not write reviews, however, during the purchase of both homes she went over and beyond her duty with her responseness and industry knowledge. I have unfortunately had to use two other loan officers and mortgage companies for out of state loans and with that experience I can confidently say that she is the best loan officer in the industry. My wife and I have since referred her to several friends and family members and her level of service with them has been excellent as well. I would highly recommend Rachel for anyone looking for a new home loan or looking to refinance. I refinanced not once, but twice with Alliance Mortgage Lending. I was 100% satisfied with both transactions. Rachel is very knowledgeable in her field. She made everything go so smooth! I'm a customer for life and I highly recommend Alliance.